AVL congratulates intern Dawn Nguyen for being named the University of Illinois Student Employee of the Year. Each year, the Office of Student Financial Aid coordinates a contest and recognition event to recognize outstanding contributions made by undergraduate student employees on campus. This year, out of more than 10,000 undergraduate student employees, the Advanced Visualization Lab's (AVL) SPIN intern Dawn Anh Nguyen, was named 2018 Student Employee of the Year. "I was astounded about the result, for there were so many other talented students who were also nominated, and I am more than thankful and happy," Nguyen said. Nguyen has been working as a UX/UI (User Experience/User Interface) design intern for AVL for nine months, creating an extraordinary amount of exceptional work for the team, including a redesign for the group's website. Additionally, Nguyen created a demo reel highlighting the work of AVL, which was featured at SC17, SIGGRAPH 2017 Conference in Los Angeles and also appeared on the Discovery Channel in Canada. Nguyen was nominated by mentor and NCSA programmer, Kalina Borkiewicz. "The quality of Dawn's work rivals that of any professional designer," said Borkiewicz, "She has a unique blend of skills that has made her able to work on a wide variety of projects. She is skilled in poster design for print, interactive design for the web and user interaction design for virtual reality. These are entirely different fields in the design world—and Dawn has excelled at each and every one of them while working with our team." Dawn says her love of design was first inspired by a trip to Las Vegas with her family. "The things that were most memorable to me were the extravagant digital graphic advertisements being displayed all over the city’s skyscrapers. I realized great designs could bring positive impact to society and enrich our culture. Since then I started paying more attention to the world of design and chose it as my major." On her website, Dawn describes herself as someone who loves good UI/UX design, is passionate about augmented reality and virtual reality technology, and always aims for great challenges. Nguyen will graduate this summer with a degree in Industrial and Product Design. 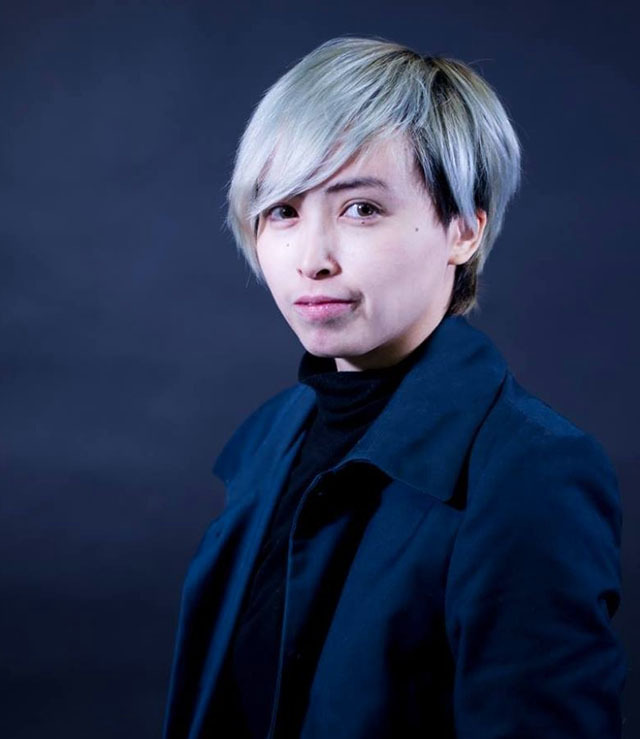 "Without my mentor Kalina Borkiewicz and everybody else in the Advanced Visualization Lab Team at NCSA, I would not be able to grow into the person I am today," said Nguyen. "The AVL team will be devastated to lose her, as she will be irreplaceable," said Borkiewicz. See more of Dawn Nguyen’s work and view her portfolio.